It's Official! The 2014 National Black College Football Champions Are.....Say it with me ! 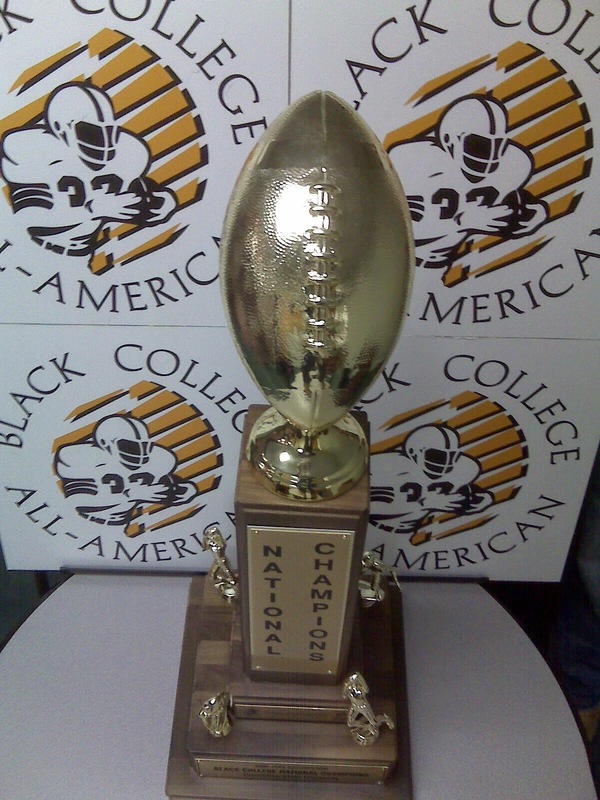 Awarded to The SBN National Black College Football Champion. Lut Williams at the Black College Sports Page (BCSP) has an all inclusive poll. 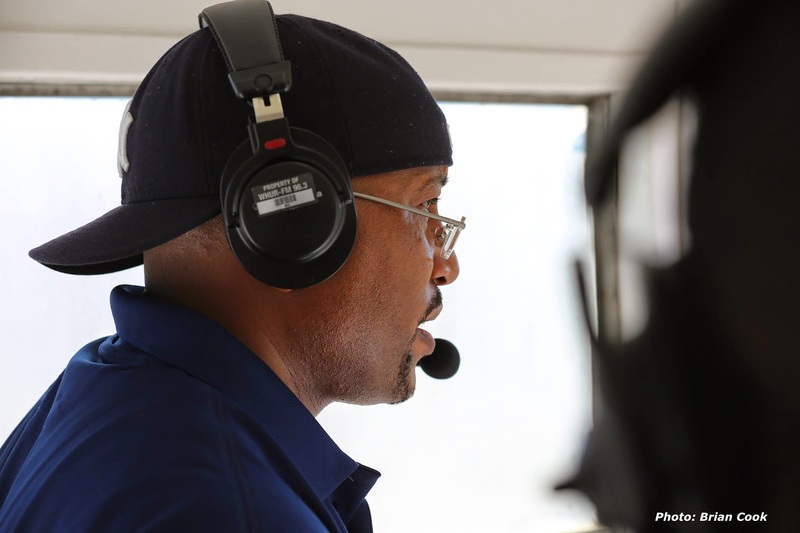 This Group of individuals along with Onnidan and Sheridan Broadcasting's Black College Football Weekly (AURN) have provided consistent in depth coverage of HBCU football for well over 30 years and no one can get a clear picture of an overall HBCU National Black College champion with out looking at the insightful coverage these individuals and networks provide! Note: The Pittsburgh Courier started naming the National Black College Champion in 1920 with Howard University (7-0) and Talladega (5-0-1) sharing the honor! Keep up with the my Talented 10th blog TAJT10.blogspot.com and don't miss my ranking of all 54 HBCU football programs this season as well as my picks for this seasons Black College All-Americans on the Gridiron! The Braves of Alcorn State University hadve done it ! 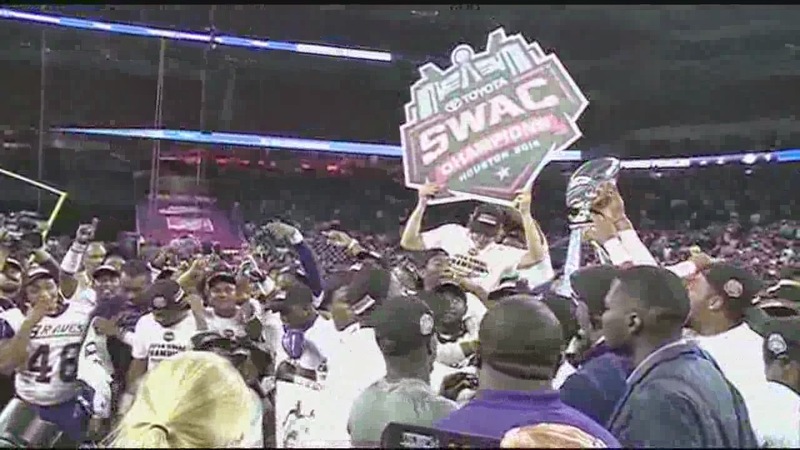 Beating Southern University 38-24 on Saturday to win the SWAC Championship should have propelled ASU to claiming the crown of 2014 National Black College Champion! Lead by SWAC co-offensive player of the year 6-6 quarterback John Gibbs Jr the braves scored in every quarter to hold off the speedy, growling Jaguars ! Gibbs carried the ball 16 times for 132 yards and connected 20 times out of 30 passing attempts for 245 yards and 3 touchdowns! 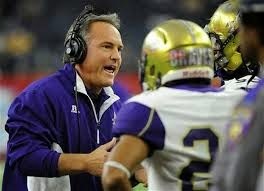 Third year head coach Jay Hopson has established the mind set of winning in Lorman, Mississippi with 4 wins in his first season at the helm. 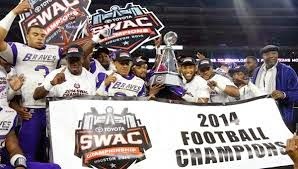 winning the Swac crown and claiming 10 victims (Southern is on that list twice). 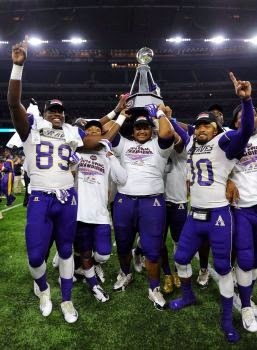 Congratulations to the Alcorn State Braves winning the SWAC 2014 Championship joining Morgan State (MEAC) , Virginia State ( CIAA) and Tuskegee (SIAC) as conference champions this season! The Impressive win by the Braves over Southern University gets my Vote as the 2014 Black College National Champions! 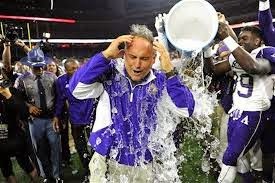 Well done Alcorn State ! Well Done! Don't forget to check out my next blog when I give you my final football poll of 2014 ranking all 54 HBCU programs that played football this season and check out how well your school did this season !